Over the past year or so we have been working with the Yellow Board Development Trust based in Kilburn Park, North London. to provide a facility for the local community including a gym, cafe and changing facilities. We have enjoyed working with the Yellow Board team and have made good progress so far, although there are considerable local council master planning factors to consider before this scheme becomes a reality. 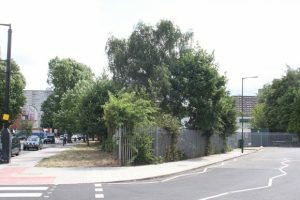 You can see below an image of the scheme so far and the challenging site available to the Trust. 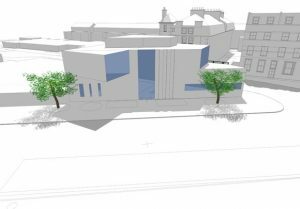 Thank you very much for the support from Granit Architects in working towards our vision of a community facility in South Kilburn. Your genuine approach to the project was a breath of fresh air and to actually see an idea come to life on paper provided a real sense of achievement. the initial brain storming, idea development, wish list & realistic list, support at planning meetings. We hope that we can work together again on this and future projects. This is a classic example of community and business harnessing together for the good of a community, sometimes disengaged and disheartened. Thanks Sam. It has been a pleasure working with you on this project and certainly we hope our joint endeavors will eventually result in something of real value to your community.